People-first marketing is both an approach and a set of marketing strategies that focus on personalizing customer touchpoints across channels to drive engagement and maximize campaign performance. The proliferation of digital channels, devices, and platforms have led to a vast shift in consumer behavior and expectations. Gone are the days where advertisers can mass send out generic marketing messages aimed at everyone–which in reality, cater to no one. Consumers have gained more control over their own journey to purchase, which means brands and advertisers need to do a better job of identifying and reaching the right audience at the right moment. Understanding who your specific target audiences are, as well as their needs, wants, and pain points help put each customer at the forefront of your marketing strategy. Targeting the right audience, however, is just one part of the equation. Executing a people-first strategy also means understanding how to capture your audience’s attention with the right message. To activate the $6 billion dollars spent on targeting technologies like DSPs and DMPs, brands and advertisers need to focus on delivering a personalized message that captures their audience’s attention at the right time in their customer journey. Delivering a personalized creative is key to truly engaging consumers, instead of just marketing to them. Drive conversions. Strengthen the engagement of your brand across audiences, channels, and campaigns to maximize your ROI. Increase your brand’s memorability. A study by Yahoo! demonstrated that personalized creative is 54% more engaging and 45% more memorable than generic creatives. Provide real value. Provide relevant and compelling content that specifically targets the needs, interests, and pain points of your target audience. Capture your customer’s attention. A study by Microsoft Corp. found that the average attention span is eight seconds. Presenting a personalized message will allow you to capture your audience within this fleeting window. The first step in achieving a people-first marketing strategy is to define who your customers are. The goal is to segment your customers into smaller groups to more effectively tailor each marketing message for your target audience. Start with socio-demographics like age, gender, ethnicity, and marital status, which illustrates “who” your buyers are. Then go beyond demographics and think about psychographics like personalities, values, interests, and lifestyles, which illustrates “why” they buy from you. A common practice is to create a list of buyer personas, which detail your existing and customer’s demographics, psychographics, and behaviors as well as potential customers that you’d like to work with in the future. Be as specific as possible. Even Millennials, who are commonly grouped as the same when it comes technology habits, political beliefs, food preferences, etc., can and should be segmented into 6 different categories (see below). Think beyond generalities and drill down to specific attributes. In advertising for example, you can leverage these customer insights and match them as close as possible to the segments provided by your data provider. Narrow down your audience by measuring which segments perform well and continually refine your data over time to determine which audience data will be most effective for your future campaigns. Segmenting your audiences into smaller subsets will not only enable you to better visualize each customer type, but also how you would address their specific needs. With your buyer personas and audience segments in mind, you may also build your strategy around the customer journey. Think about the different ways that customers interact with your brand and how you would vary the message for those who have never heard of you versus those who are actively in-market for your products or services. For effective people-first marketing, tailor your messaging by addressing your customer’s interests, needs, and pain points across channels. Do this across the funnel, from awareness of your brand to being a loyal recurring customer. In the awareness stage, what can you offer to someone who has never heard of your brand before? Are they aware of the need for your product? What are the consequences of not buying your product or service? Focus on their pain points. In the interest stage, why are you a good fit for this potential customer? How does your product directly address their needs? Focus on the benefits of your products or services. In the evaluation stage, why should customers buy from you rather than your competitors? What value can you provide that no other brand can? Focus on what makes your business unique compared to your competitors. In the loyalty stage, how will you strengthen the relationship to encourage repeat business? Focus on driving active engagement from customers that just purchased from you. In the re-activation stage, how will you re-engage customers and stay top of mind? Focus on extra value you can provide to re-invigorate previous customers. Keep in mind that the customer journey is not necessarily a funnel, nor is it a direct path. As you learn more about your customers, make sure to continually customize and influence each marketing moment to draw customers to your brand. The core purpose of executing a people-first marketing strategy is providing the right message to the right audience, at the right moment. Here are a few creative tactics to achieve this. Plan for your audiences and execute messaging using a creative matrix (see example below). On one axis, list out your specific target audiences. On the other axis, list out the sales funnel. What benefits resonate most with each audience segment? How should the message change for each audience as they increasingly engage with your brand? Map out each creative variation to appeal to what is top of mind for each audience. As mentioned above, tailor your messaging to each customer’s interests, needs, and pain points across each stage of the funnel to ensure they see the right message at the right time. The creative matrix enables you to use the creative to drive performance in your digital ad campaign. By building a creative plan, you can brainstorm new ways to engage your audiences across the buying cycle, while identifying gaps and opportunities to strengthen the relationship with your potential customers. Global brands can appeal to customers on a personal level by localizing your ad creatives and messaging. According to the Common Sense Advisory survey, 75% of consumers prefer to buy products in their native language. This is an important area where people-first marketing comes into play. Start by translating your ad copy, taglines, and product descriptions to the languages locally used. Translation enables your brand to not only build trust and relationships with new groups of consumers, but also maximize conversions across the globe. However, it’s important to note that localization does not simply mean translation. Consult with a team member or local consultant based in each market to gain an extensive understanding of their specific experiences, preferences, values, and sentiments. Pay close attention to linguistic nuances and tailor your messaging to each cultural group by using the proper terminology, slang, and colloquialisms. Beyond delivering a translated message, research how users consume media and information in each region. Build your presence in their preferred devices and channels, including social media platforms. Lastly, personalize the customer experience by catering your offerings to each location. Does each market have the same interests, needs, and pain points? What alternatives are offered to your target customers within their region? Localize your promotions and adapt your product offerings accordingly. People-first marketing strategies can be effectively applied across digital advertising, social media, email, website experiences, and more. 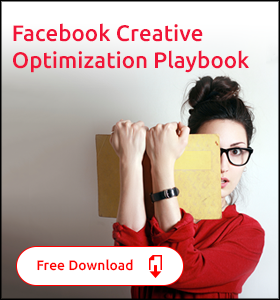 Deliver a consistent look and feel across channels and social networks. Providing a cohesive brand is key to engaging prospects, especially if users have never heard of your brand before. As users move from channel to channel, a consistent omnichannel presence enables customers to achieve a seamless experience. Each touchpoint across the customer journey increasingly builds user confidence, familiarity, and trust for your brand. In a perfect world, all marketing campaigns should be integrated, working together to present consistent information to target your audience. Extend your social branding and direct response campaigns into display advertising campaigns and vice versa. 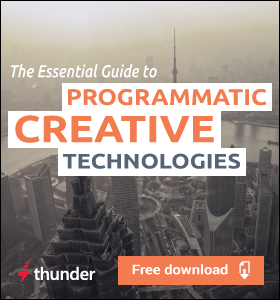 An ideal ad tech stack for digital marketers leveraging a people-first strategy includes: an Ad server, a Data Management Platform (DMP), Demand Side Platform (DSP), and Creative Management Platform (CMP). We’ll briefly define each technology and discuss how they work in tandem to achieve a highly targeted campaign strategy. Ad servers are primarily used for ad management, campaign measurement, and ad trafficking. The ad server delivers the creative to the user. Demand Side Platforms (DSPs) automates media buying for display, mobile, search, and video ads. DSPs allow ad buyers to reach their target audiences more efficiently by bidding in automated auctions. Data Management Platforms (DMPs) are data warehouses that house information like audience and campaign data. DMPs offer a central location for marketers to access and manage information, helping them analyze this data to target and optimize campaigns. Creative Management Platforms (CMPs) are a class of programmatic creative technologies used to tailor, test, and optimize the ad creatives in a digital marketing campaign. 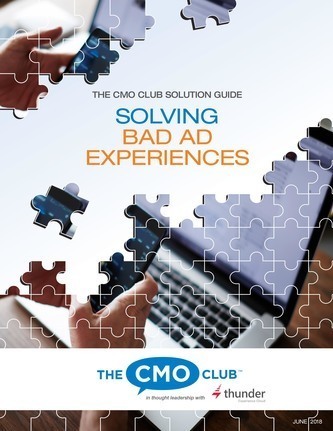 CMPs enable marketers to achieve higher performing creatives and production at scale. 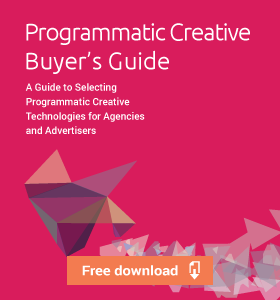 Together, these ad technologies optimize how media is purchased and provide targeting and testing capabilities to ensure that each ad is delivered to the right target audience at the right time. More specifically, marketers can use Creative Management Platforms (CMPs) to replace generic ads with tailored ones that match audience segments in the Data Management Platform (DMP), and where each creative is optimized by the Demand Side Platform (DSP). Ad servers, DSPs, DMPS, and CMPs generate an exceptional level of synergy and each technology helps maximize the ROI of the others to achieve a people-first strategy. 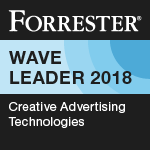 To see the top players for each technology, check out the 2017 Ad Creative Landscape. Taking a customer-first approach in marketing is not a one-time strategy, but rather a continuous effort to add value to potential customers. It requires marketers to proactively find new ways to personalize messaging and incorporate your customers into your marketing strategy. Create opportunities to talk to your customers, and leverage their feedback to refine your buyer personas, and how to engage them across the customer journey. Placing your customers at the forefront of your marketing will ultimately lead to higher conversions and brand loyalty. What are your biggest challenges with executing a people-first marketing strategy? Leave them in the comments below.